TrustVeterans.com - A Veteran's Take: President's Day thinking. 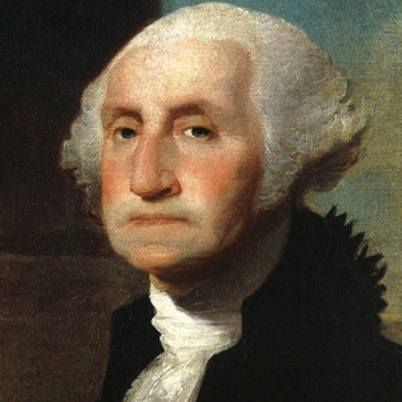 President's Day, a federal holiday honoring George Washington was originally implemented by an Act of Congress in 1879 for government offices in the District of Columbia and expanded in 1885 to include all federal offices. As the first federal holiday to honor an American citizen, the holiday was celebrated on Washington's actual birthday, February 22. On January 1, 1971, the federal holiday was shifted to the third Monday in February by the Uniform Monday Holiday Act. To lump Washington together with the 42 other men who have been elected president in this country does not assign him the significance he deserves. The only president to be elected unanimously – and it happened to him twice – Washington essentially shaped the office of the president. With tremendous foresight, he knew that his actions would set important precedents, and he conscientiously labored over many of his decisions. Unlike modern presidents, Washington did not conduct polls to determine what steps to take. Instead, he asked the same question, over and over again: “What is the best course for America?” His instincts were seldom wrong, and his patriotism never faltered. Washington once said, “I can never resist the call of my country,” and he responded to his country’s needs time and time again. As many holidays seem to continue to become more and more commercialized, this one included, I still have hope for our communities as numerous people with whom I interact show me on a daily basis that they are willing to roll up their sleeves and take care of one another. Americans have a long road to travel to reverse this disturbing trend. A good place to start is by returning “Presidents’ Day” to its rightful name and purpose. On this day that is set aside to honor George Washington, Americans should re-discover why he was so crucial to the founding of this nation. They should talk to their children about his renowned character and virtues. Families should plan trips to Mount Vernon and other historic places where Washington lived and worked. And most of all, Americans should shed their indifference and be grateful for the man who led this remarkable nation to freedom. And wouldn’t it be refreshing if families postponed their trips to the mall to gather around the dinner table to talk about George Washington and the other Founding Fathers. If you read through my previous posts, you may notice a tone concerning teamwork. I continuously reference teamwork and working hard to be a member of a team, as it is one of the many things that I positively reflect on in regards to my time in the Air Force. The teams which I was a part of then, have a massive influence on how I interact with my new teams as a civilian employee and as of this morning, the 2013 USAF Warrior Games Team. I received my official selection letter in my email earlier and then remembered that today is also President's Day. If George Washington were alive today, what would he think of our republic? Would he be proud of what we have done, or would he be shocked at some of the things our leaders have involved us in? I for one, feel that we are in a place where action is what's important. Not the talk of I will do this, I might do this, I feel like doing this... as always, actions speak much louder than words. What actions are you taking to grow your community, your network, or your perception of amassed wealth?